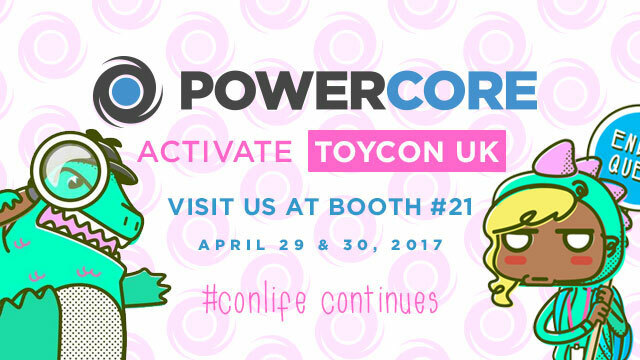 PowerCore is heading to London again this year to activate ToyCon UK 2017. We will be at MEGABOOTH #21 with our partner 1000toys. Together we brought the ToyCon UK edition of the Mechatro WeGo Custom Show and there will be a hands-on showcase of the PowerCore Technology Platform. The BIG news is the we will be activating the entire con with the ToyCon UK Collector Quest – a digital scavenger hunt that covers the entire event floor. The ToyCon UK Collector Quest is a Digital Scavenger Hunt! Collect all the medallions for a chance to Win exclusive prizes – Goto-san painted T-Cons and exclusive stickers!!! In order to play first download the PowerCore Collector app if you haven’t already – its available for both iOS and Android. 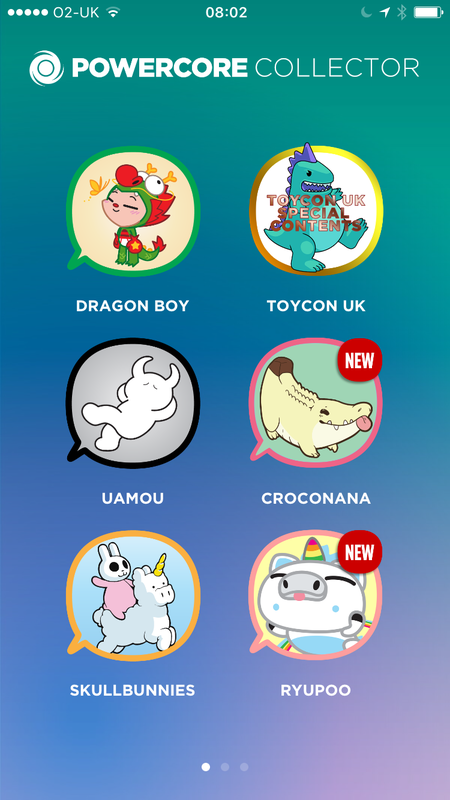 In addition to be chockfull of free artist messaging stickers, we have added a ToyCon UK Special Contents Collection. Inside the Special Contents Collection, Click on the Sherlock T-Con Collector Quest Icon to open up the Quest Medallion Collection screen. The clues will help you find the Collector Quest Activation Stations hidden at locations around the con floor. When you find an Activation Station its time to collect the medallion. 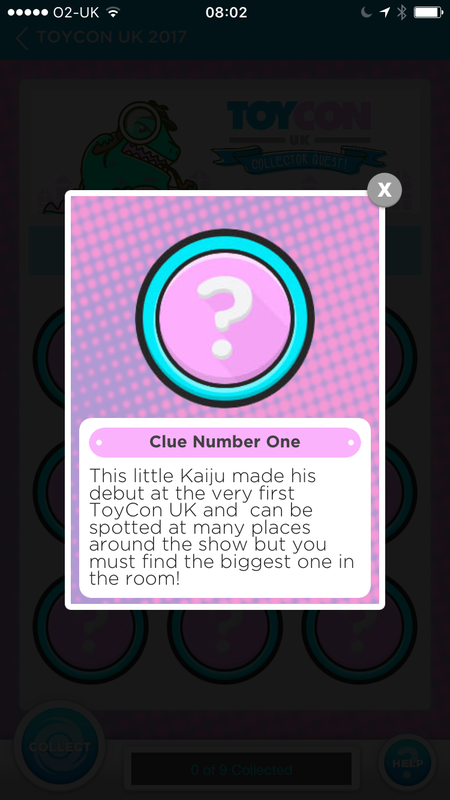 Tap the Collect Button in the lower right and you can use your smart phone camera to scan the special code and collect the medallion. If you have an NFC-enabled phone you can just tap the station to Collect the Medallion that way. Once you have you all collected all 9 medallions – come back to the PowerCore booth. We will verify your Collector Quest result and you will then do the lucky draw to see what prize you will win! You must be present at ToyCon UK to participate in the quest – we we hope to see you there!